It is only one more month until our first-ever event. Our Spring Friendraiser on Friday, May 17th from 4:30 to 6:30 pm, will be an opportunity to learn about to our organization and our partnership with Black Canyon of the Gunnison National Park. The Ute Indian Museum is hosting the event, with free admission to the museum. Light appetizers will be available, along with Board of Director members, park staff, and other partners and friends of the organization. A live and silent auction will include unique art items, fly fishing gear, and other surprises. We hope to see the community come out to help us help support our local national park. As one of their first projects, the Friends of the Black Canyon is recruiting a team of volunteer trail ambassadors to help with increased trail usage at both the North and South Rims of the national park. Trail ambassadors will walk the trails providing safety tips, advice on other things to see in the park, and checking for permits for wilderness trails. They will be trained by park staff prior to hitting the trails this summer. For more information or to sign up to be part of this new team, please email friendsBCLA@gmail.com. The partnership of Friends of the Black Canyon with the national park of same name was formalized this week by the execution of the Philanthropic Partnership Agreement by Bruce Noble, Superintendent of the park, and Joel Evans, Chair of the Board of Directors for the Friends. The agreement establishes the operating procedures for cooperation between the entities. With the paperwork behind them, the partners will move forward on projects identified in recent weeks to improve campground sustainability and trail safety. The Board of Directors for the Friends of the Black Canyon is pleased to name Melissa Alcorn as the Executive Director as of January 16, 2019. Melissa resigned her position on the board at the January board meeting and was immediately voted into the position of Executive Director. Melissa has been active with the Friends of the Black Canyon since its inception in 2017. She is an avid public land user and national park enthusiast. Her prior nonprofit experience includes leadership roles with The Mountain School and Touchstone Youth Project—both organizations utilized climbing as a mentoring tool for kids—as well as serving on the board of directors for the Downtown YMCA of Oklahoma City. She also regularly volunteers with Telluride Adaptive Sports Program as a ski instructor. She will perform the Executive Director tasks initially on a part-time basis and unpaid. Her immediate focus will be on introducing the Membership Program and engaging in community awareness of the Friends. 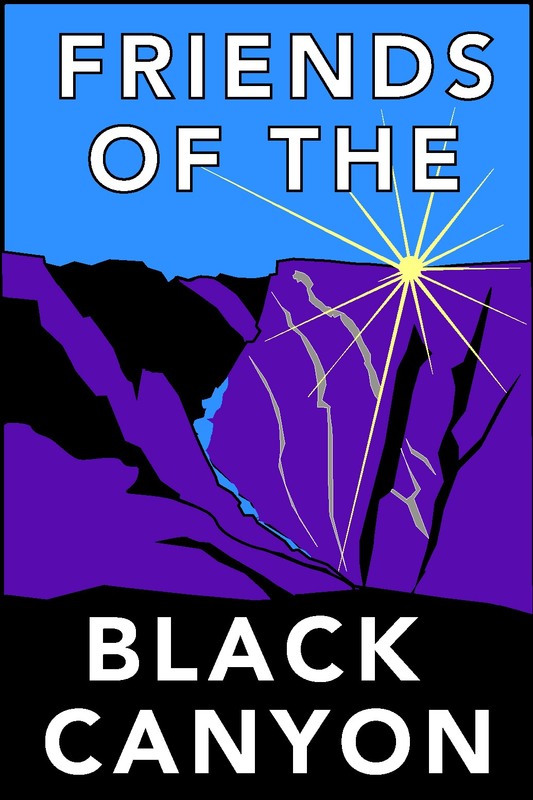 The Friends of the Black Canyon of the Gunnison National Park is a 501(c)(3) organization with a mission to be a nonprofit partner with the national park. The Friends will provide financial, volunteer, and other support to the park for projects, special events, and community outreach. The Board of Directors of the Friends of the Black Canyon of the Gunnison National Park approved a membership program during their January 2019 board meeting. For the first year of the membership program all members will be acknowledged as Founding Members. The annual memberships are available for family/individuals ($50), nonprofits/government entities ($150), and businesses ($250). A donation of any amount will be a Friend. Those that commit to a monthly payment will be Founding Trailblazers. Membership benefits will include acknowledgment of their contribution, Friends of the Black Canyon newsletter, and access to special events. As the program grows, additional benefits will be made available. Membership dollars will help build and sustain the organization and enable projects at the national park. The Friends of the Black Canyon of the Gunnison National Park is a 501(c)(3) organization with a mission to be a nonprofit partner with the national park. The Friends will provide financial, volunteer, and other support to the park for projects, special events, and community outreach. All donations are tax deductible.